Yeah, I’m chugging along behind the other reviewers, pulling late into the station on this one. 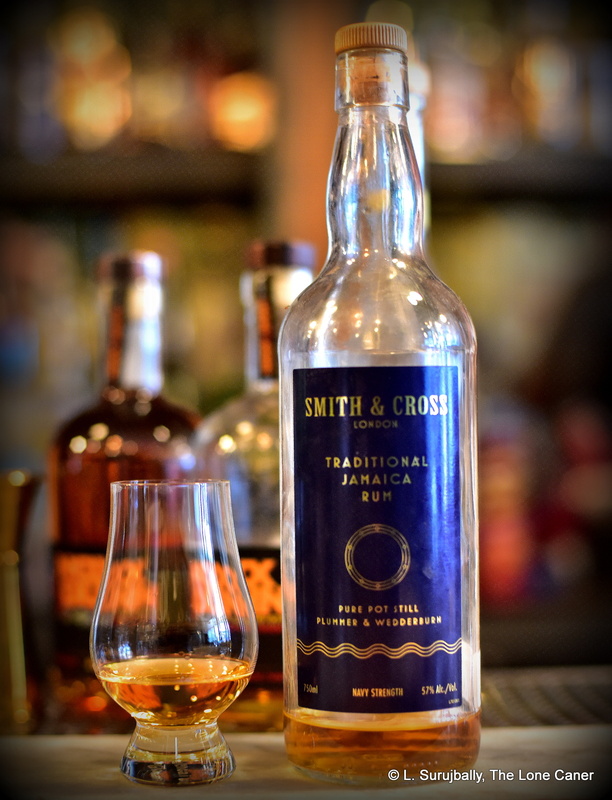 The Smith & Cross Jamaican rum has been on people’s radar for ages now, so it’s not as if this review will do much except to raise its profile infinitesimally. Still, given its reputation, you can understand why, when I finally came across it – courtesy of a great bartender in Toronto who, by stocking stuff like this somehow manages to defeat the LCBO’s best attempts to dumb down the Canadian rum drinking public – both excitement and expectation warred in the cockles of my rum-soaked corpus as I poured myself a generous shot (and left Robin Wynne, bless his heart, ogling, billing and cooing at the Longpond 1941 which I provided as proof that I really do exist). And my curiosity and enthusiasm was well-founded. 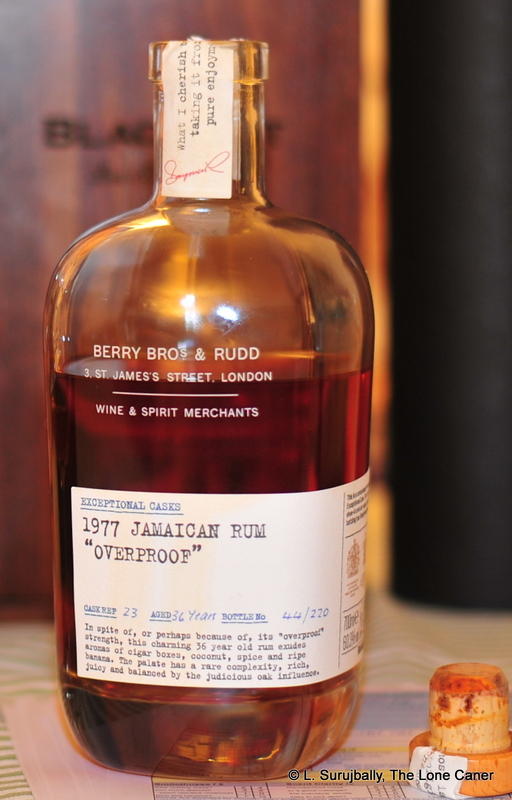 Consider the geek-stats on the rum, to start with: Jamaican rum from the near-epicenter of ester-land, Hampden Estate (awesome); pure pot still product (oh yeah); growly 57% strength (damned right); unfrigged-with (now we’re talking); and overall amazing quality, (well brudderman, Ah wipin’ me eyes). What more could any funk-bomb, ester-loving, rum-swilling aficionado on a budget possibly want? I mean, a juice like this beats the living snot out of, and then wipes the floor with, something like a Diplomatico, know what I mean? No soft Spanish style column still rum here, but an aggressive in-your-face spirit that’s itching for a dust-up. With style. It certainly did not disappoint. 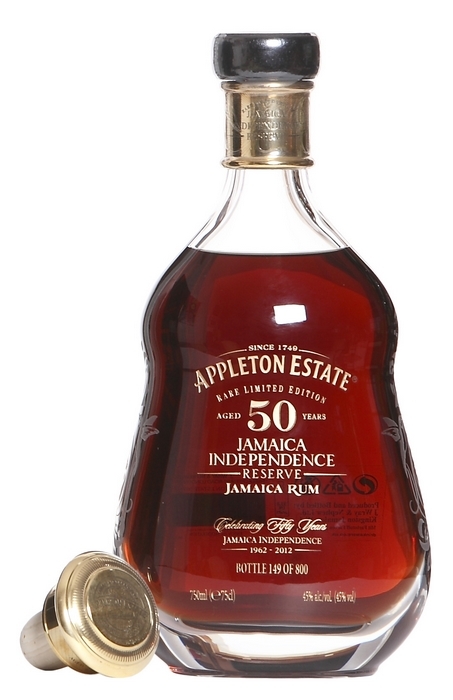 When you smell this, it’s like Air Traffic Control didn’t just clear me for takeoff, but for blast-off – scents burst out of the bottle and the glass in a rich panoply of rumstink (I mean that in a good way), matching just about any good Jamaican I’ve ever had, and exceeding quite a few. Although initially there was cream and unsweetened yoghurt or labneh, there was also the light fruitiness of esters and flowers, and absolutely no shortage of the righteous funk of rotting bananas and a garbage pail left in the sun (and I swear to you, this is not a bad thing). It was not, I judged, something to hurry past in a rush to get to the next one, so I let it stand, and indeed, additional aromas timidly crept out from behind the elephant in the room – some rough and jagged molasses and burnt sugar, crushed strawberries in unsweetened cream, and some dark bitter chocolate…in other words, yummy. While the smell and aroma were one step removed from awesome, the taste is what told the tale – it was, surprisingly enough, clean and clear, and quite spicy, redolent of olives, citrus, masala spice and a good whallop of burnt sugar. And it didn’t just exude these flavours, it seethed with them, with a sort of rough intensity that was remarkably well controlled. It also developed really well, I thought – over time (and with some water), it kept on adding to the menu: hot black tea, a combination of earthiness, of dry and musty sawdust that one might use the word “dirty” to describe without any negative connotations, and even to the very end (an hour later…I had that glass on the go for quite some time), there was still nougat and chocolate emerging from the glass. Oh and the finish? Just excellent – long, crisp, funky, with salt and vinegar chips, creaminess and driness all fighting to get in the last word. I have just about zero complaints or whinges about this one. So a few other tidbits before I wrap up the show. Strictly speaking, this is a blend of two styles of pot-stilled rum, Plummer and Wedderburn. 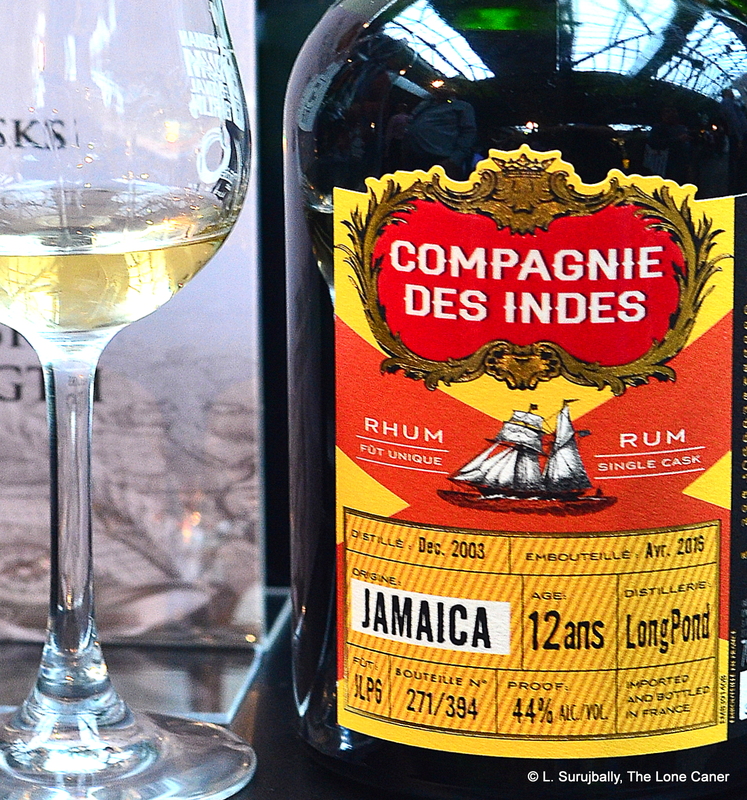 These are not types of still (like John Dore and Vendome, for example) but two of the four or five main classifications the British used to type and identify Jamaica rums in the late 19th and early 20th century – Longpond, for example, was much known for the Wedderburn profile, a heavier bodied rum somewhat distinct from the more medium bodied Plummer style. Both have massive dunder and esters in there, so for Smith & Cross (who have been around in the UK in one form or another since the 1780s) to have brought this kind of style back out into the market several years back, when easier column-still sipping fare was more the norm, deserves quite a few accolades. 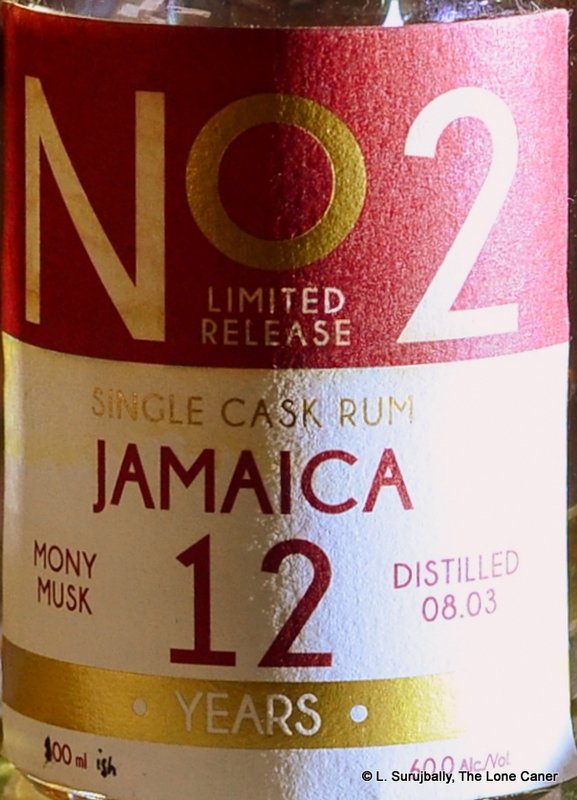 The rum, as noted above, is a blend of almost equal parts Wedderburn and Plummer, with the Wedderburn aged for less than a year, and the Plummer portion split between parts aged 18 months and parts for 3 years, in white oak. Frankly, I’d love to see what a really (tropical) aged version of this rumzilla would be like, because for now the youth is apparent…though fortunately it’s neither distracting nor disqualifying on that score. The Smith & Cross reminded me a lot of the Compagnie des Indes’s 2000 14 year old, also from Hampden, but not as good as the CDI Worthy Park 2007. There was much of the same sharp richness matched against something of a ghetto bad boy here, like an educated gentleman who knows just when to stop being one and belt you a good one. 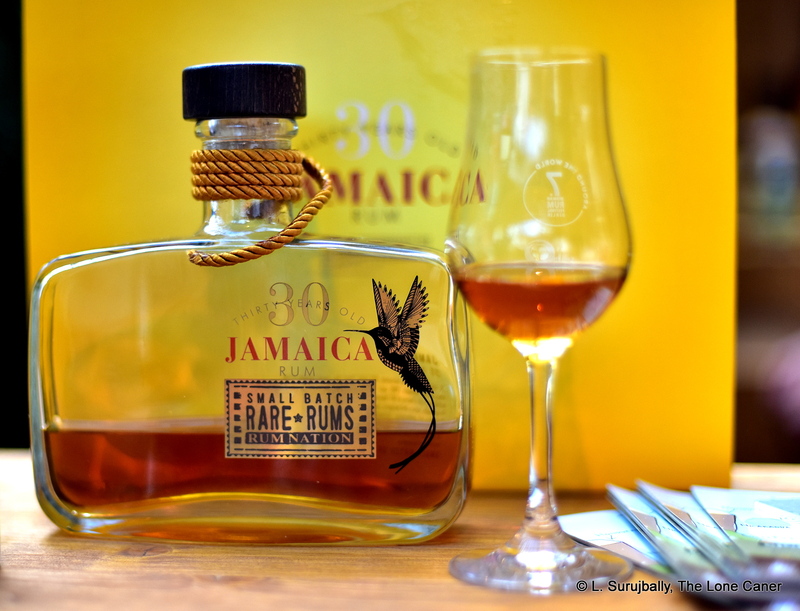 If you’re not into full proof Jamaican rums showcasing heavy dunder and funky flavours that batter the senses and skewer the palate, then this is likely not a rum for you. But for those who are willing to weather its force and scalpel-like profile, it is one that reminds us what Jamaicans used to be like and what they aspire to now…and points the way to a re-emergence of a style that has for many years been hidden from view and is now getting the praise that always should have been its right. Even now, years after I acquired one of the 220 bottles of this phenomenal 36 year old rum, it retains its power to amaze and, yes, even awe. 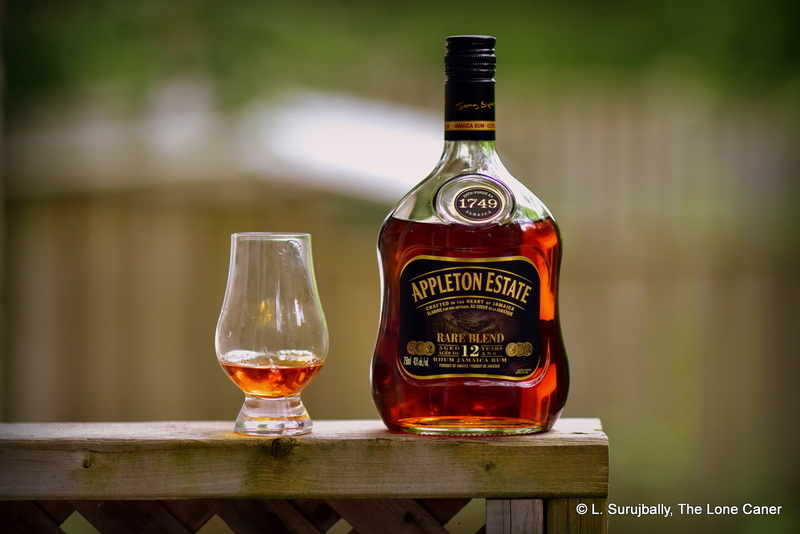 It still retails in the UK for over six hundred quid, reviews are rare as sugar in a Velier rum, and to this day it is unclear whether it is a blend — or if not, from which estate or distillery it hails. 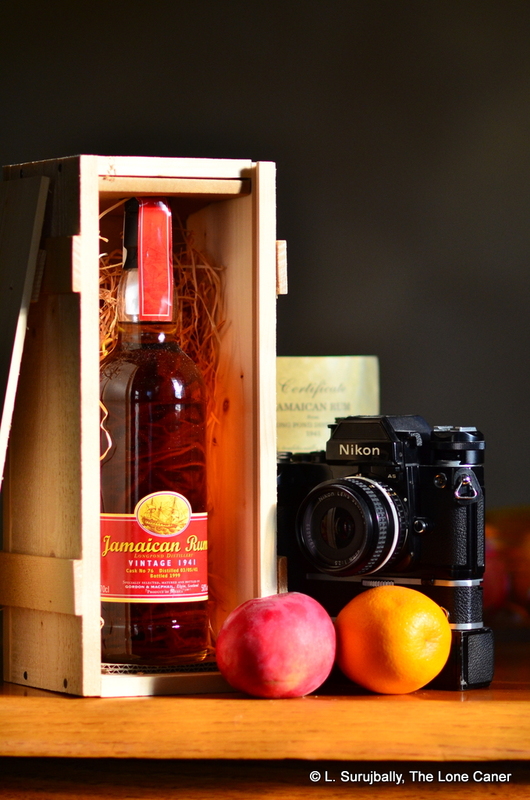 Whatever the case, it is a great bit of Jamaican rum history and should be tried by any who get the opportunity. Nose – Pungent, bags of fruits resting on a firm and almost sharp initial aromas. 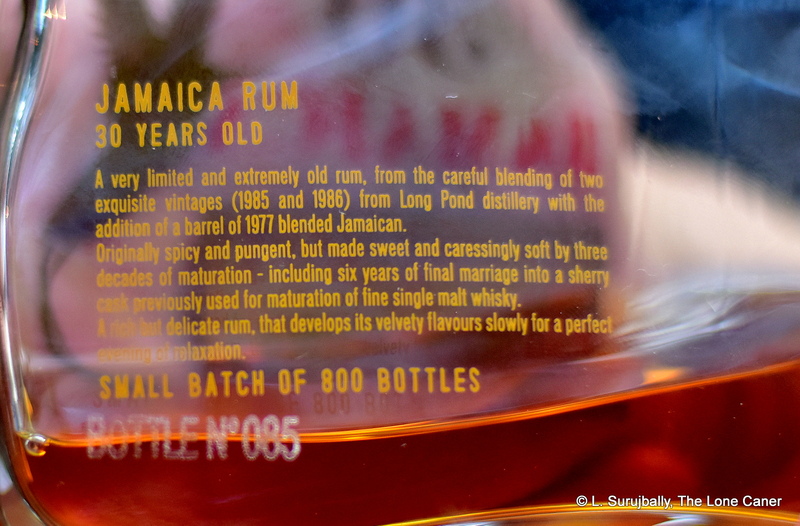 Vanilla, coconut, aromatic tobacco, and – at least at the beginning – very little in the way of true ‘Jamaican-ness’. Where’s the funk? Oak is well handled for something this old – so likely it was aged in the UK. After some minutes coffee, raisins, bitter chocolate, parsley (!!) bananas, cherries, and faint dunder starts to creep out, before developing into something much more aggressive. Definitely a rum that gives more the longer it stays open so don’t rush into this one. There’s also a musty, damp-cellar background to it all that combines well with the wood, and somewhat displaces the fruitiness the esters are trying to provide. Palate – Whew, hot hot hot. Started slow, worked up a head of steam and then just barreled down the straight looking neither left nor right. Dusty cardboard and cereals, more of that earthy mustiness, plus some brine, avocados, cumin and maybe ginger. Adding water is the key here, and once this is done, ther is caramel and cinnamon, more cumin, hay, tobacco and chocolate, veggies, and yes, rotting bananas and fleshy fruit gone off – so apparently it may not start out Jamaican, but sure finishes like one. Finish – Long and warm and very very aromatic. Wood shavings, some more citrus (lemons, not oranges), ginger, cumin, those ‘off’ fruits and even (what was this?) some cigarette tar. 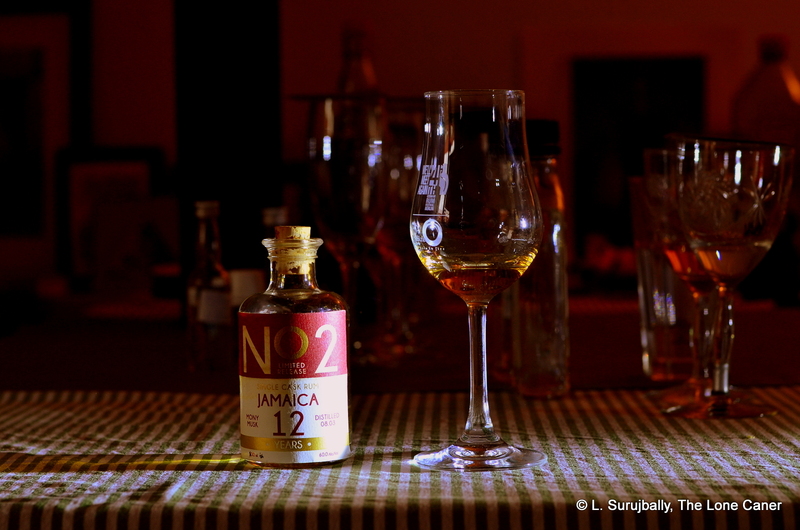 Thoughts – Still an excellent, amazing rum. Honestly, I’m helpless to justify 60.3% and 36 years old and near to a four figure price tag. How can anyone? For the average rum drinker, you can’t. You wouldn’t share it with your card-playing buddies, your kids had better not go near it, you wouldn’t give it away as a gift, and there are so few of these bottles around that it might even never be opened because the event to do so would never be special enough. But all that aside, we need s**t like this. 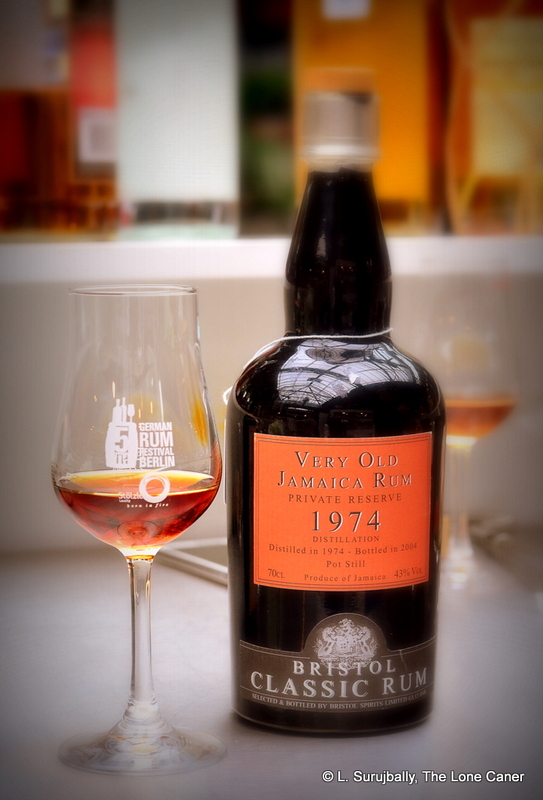 Without such rums we would be a lesser people (and cede pride of place to the maltsters). And that’s why it’s a rum to cherish, if you can ever get it. 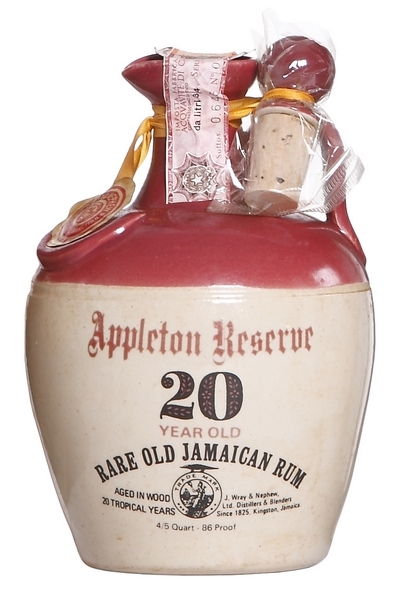 As with the 12 year old ceramic jug, I don’t think that Appleton is exaggerating in the slightest when they call this a “Rare Old Jamaican Rum,” – at the time it was issued in the 1960s or 1970s they might have been hyping the product a tad, but now? Not likely. Still, you can actually find it if you’re prepared to pay Masters of Malt, who name this a 1970s era rum, the £700 it costs. And that’s more than the Longpond 1941 fetches these days. I must confess that for an aged artifact bottled (or “jugged”) at a mouth-watering, drool-worthy twenty years old, I’m tempted. Consider too – at that age, it means at the very latest it had to have been distilled in 1959, and very likely earlier than that, and what lover of historical rums wouldn’t want to try that? Nose – Pure tamed Jamaican, with elements of the profile being showcased, but not strong or violent enough to put one off…a Trenchtown Rasta in a Savile Row suit, if you will. Rolling waves of salt and sweet, bananas, pineapple, chocolate and coffee, with caramel and toffee hastening to catch up from the rear. Some tobacco and smoke, a touch of vanilla, honey, anise, and very strong black tea. There’s a persistent — if faint — background odour of vegetable soup in here, both the veg and the soya. Really. Palate – More of that dialled down bad boy attitude, nicely integrated into a profile that starts with “dirt”. By which I mean a sort of loamy, earthy, vegetable taste (far from unpleasant, I hasten to add), rye bread, cumin, garam massala, molasses, and oh, a lovely clear line of florals and citrus. Did I mention the vegetable soup? All wrapped up in a bow with the usual dessert menu of salted caramel and vanilla ice cream. And as an aside, it’s quite rich and intense…It may be jugged at 43% but it sure feels more powerful than that. Finish – Falls down here after the high point of tasting it. It just fades too damn quick, and for some inexplicable reason, the wood starts to take on an unhealthy dominance. Salted caramel, brine, olives,, breakfast and cooking spices, and a twist of licorice. All very faint and too watered down. 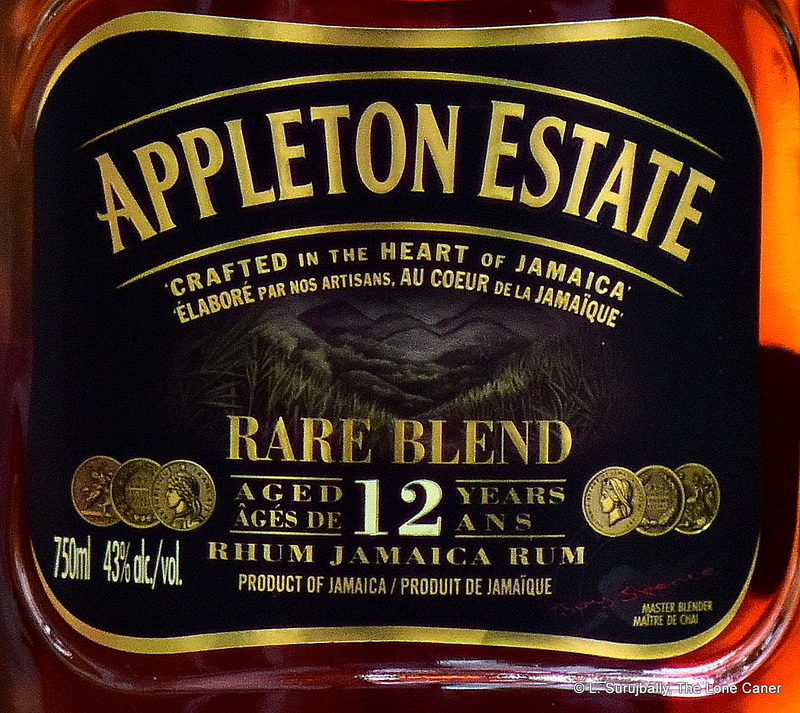 Thoughts – It’s actually very different from the younger Appletons, the 12 year old jug, or the older 21 year old. Points of greatness are unfortunately ameliorated by weakness and an increasing lack of balance over the hours spent comparing it to all the others. In short, somewhat of a Shakespearean tragedy — potential and hubris being brought low by inherent flaws. Though even with all that, it leaves me somewhere closer to praising the rum than coming to bury it. 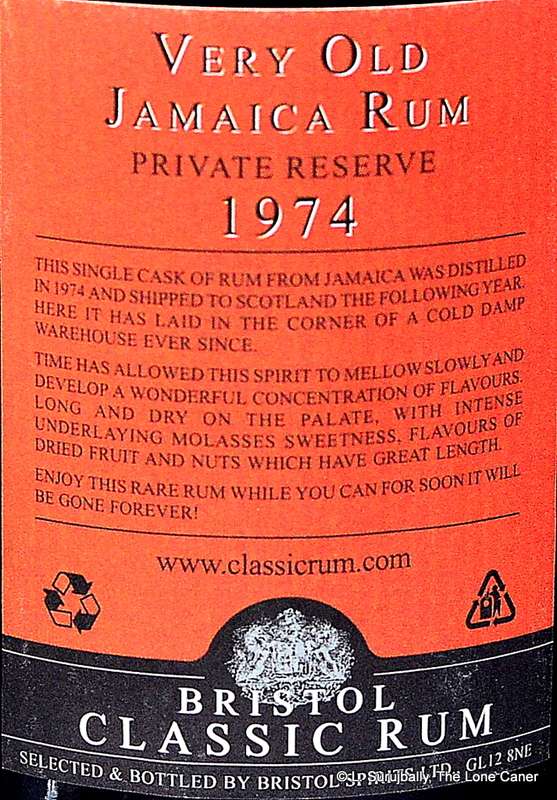 Other Rumaniacs reviews of this rum can be found on the website, here. Note that Serge was enthralled with it, while Marco was much more disapproving.